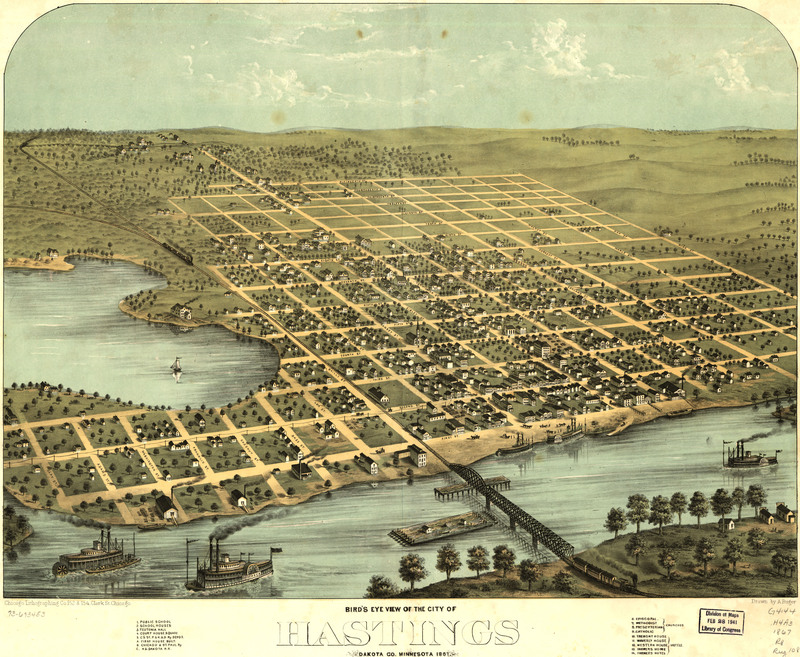 A. Ruger's Birdseye map of Hastings, Minnesota in 1867. 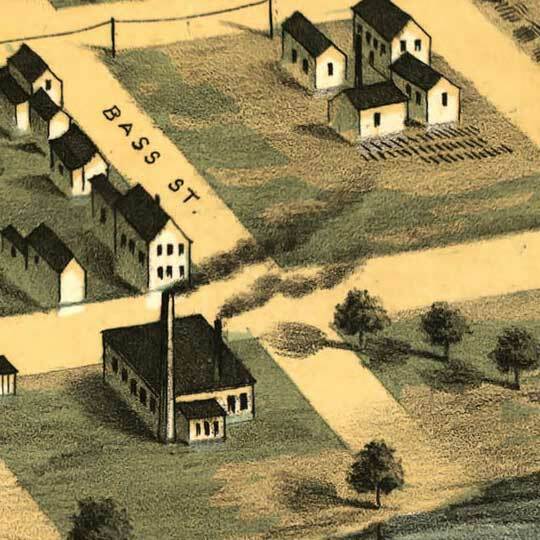 Ruger's Birdseye map of Hastings, Minnesota [gmap] from 1867. Hastings is on U.S. Route 61 -- a road that for many reasons looms large in the American experience. As one of the principal routes for migration of African Americans north, it held (at least in the many delta blues songs I've heard from the time) the promise of escape, of mobility; it took on some rather magical qualities in song. Bob Dylan, a Minnesota native, tips his hat to this importance, and acknowledges the river connecting his home state to the delta, with his album Highway 61 Revisited. For more maps and images from this period in the region's history, visit the Minnesota Historical Society.